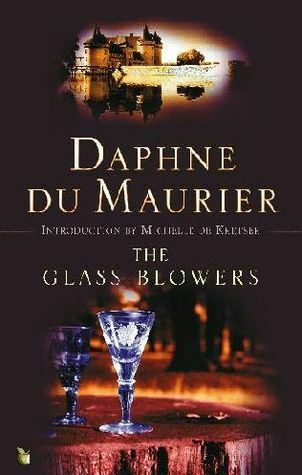 In this book du Maurier recounts the tale of her forebears, the Busson family of master glass-blowers leading up to and through the French Revolution. Told through the POV of Sophie as she looks back on her life, daughter of master glass-blower Mathurin Busson and his formidable (in a good way) wife Magdaleine and her siblings Robert, Pierre, Michel and Edmé. For Robert, the eldest working his craft in the countryside is not enough and he dreams of greatness in Paris – but unable to manage his spending he always ends up in financial disaster and bankruptcy and he depends on his family to bail him out time and again. Eventually she too finds herself buying into the revolutionary ideals as the madness continues to grow and suspicion and rumor grip the countryside. In the end a new and “stable” government takes control but it is never enough. Eventually Sophie and her family are swept up in the War in the Vendée, a little known but horrific footnote in history (do go to Wik and read up on it). Once The Terror is over the Busson siblings rebuild their lives and eventually things come full circle with the return of Robert – who fled to England as an émigré to avoid the debts of his last business debacle. This novel is a bit slower paced at times (although the scenes from the Vendée were downright unputdownable) and might not appeal to all readers, but I enjoyed it a great deal. A refreshing change seeing the Revolution from the countryside – major events such as the taking of the Bastille, the Women’s March on Versailles and the executions of Louis and Marie were events that happened far away. As maddening as he was in his doomed financial efforts, Robert was great fun and I loved the way the author worked in the “birth” of the family name in England – du Maurier. 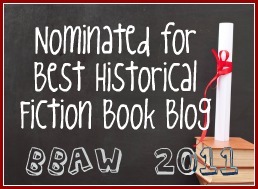 Definitely recommended for du Maurier fans or those interested in the history of the Revolution. I like the sound of this one, particularly because of the Revolution connection. Great review. I also liked this one very much but it did have a different feel from some of her other books. I have this one at home and have never read it. I think I needed to read a review of it because now I want to. I guess I need to add this one to my TBR. Great review. I have this on my pile at home, an old 1960's copy. My friend Stephanie also enjoyed this book and said it was a bit slow, but worth it. I need to get around to reading all of the du Maurier novels I have . . .